Ask anyone who knows him—Timmy DeMatteis is one friendly guy. This talkative, animated man just doesn’t know a stranger. But at one time, Timmy encountered one very unfriendly foe: the frightening possibility that he might lose his left eye. Timmy was born in September 1958 and grew up in the 1960s, a regular kid who played all sports but had a special place in his heart for baseball. His father, “Butch,” coached Timmy’s St. Timothy School baseball team in Columbus and was also a lefty pitcher at St. Charles Preparatory School in Bexley. Baseball is in Timmy’s blood. Fast forward to 1979, when Timmy worked a construction job. He had a bizarre accident where a nail damaged his left eye and required surgery to remove the actual lens from the eye, leaving him with vision that was “just okay,” he says. Over the next several years, his vision deteriorated further until Timmy could only see light and shadows out of his left eye. He lived in pain and near-constant prayer, relying on his right eye to do almost all the work. Timmy’s cornea came to the end of its useful life in 2017, and corneal transplantation surgery was scheduled. On February 7, 2018, Dr. John Stechschulte, an ophthalmologist and corneal surgeon at Arena Eye Surgeons and Medical Director for Central Ohio Lions Eye Bank, brought him in for a corneal transplant. Since his successful transplant, “I can see out of both eyes again, thanks be to God!” says Timmy. He anticipated better vision, but now looks into his daughter’s beautiful eyes, enjoys rainbows, and looks wonderingly at all God has created. Timmy says he is excited and honored to be chosen to throw out the first pitch for Central Ohio Lions Eye Bank Day with the Clippers on July 22, 2018, at 4:05 pm. The Eye Bank is looking forward to seeing our vision being carried out before our very eyes. In addition to Kylie, who will celebrate her fifth birthday in August, Timmy has a son, Brian, who is 27. 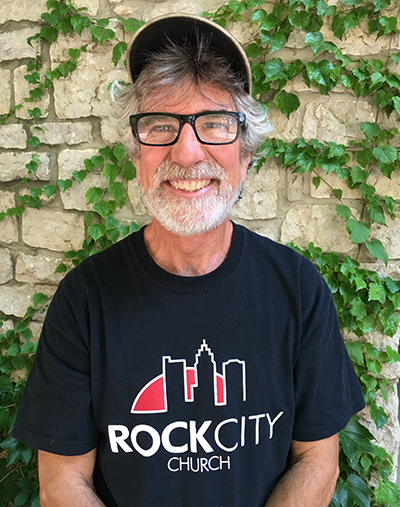 Timmy, who holds a Bachelor’s degree in social work, is a self-employed landscape/lawn care provider and a faithful servant in his church, Rock City.